A gorgeous new range of Fairy Doors (by popular request!). 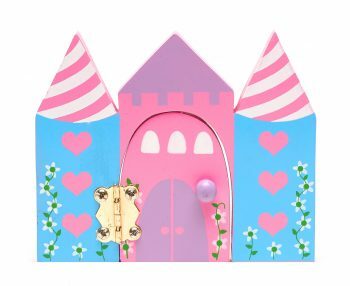 The fairy castle has pink heart windows, stripy turrets, trailing flowers and comes with three pink heart stepping stones printed with white flowers. It is also fully opening.